I am writing this literally 8 hours after landing back in the UK from the absolutely incredible island that is St. Lucia. 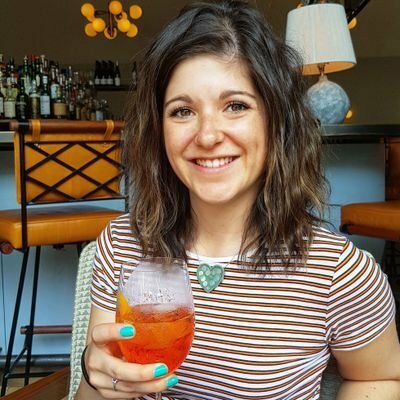 A full post on everything you should do is on its way, but first…I have to tell you all about the most amazing day of our holiday. 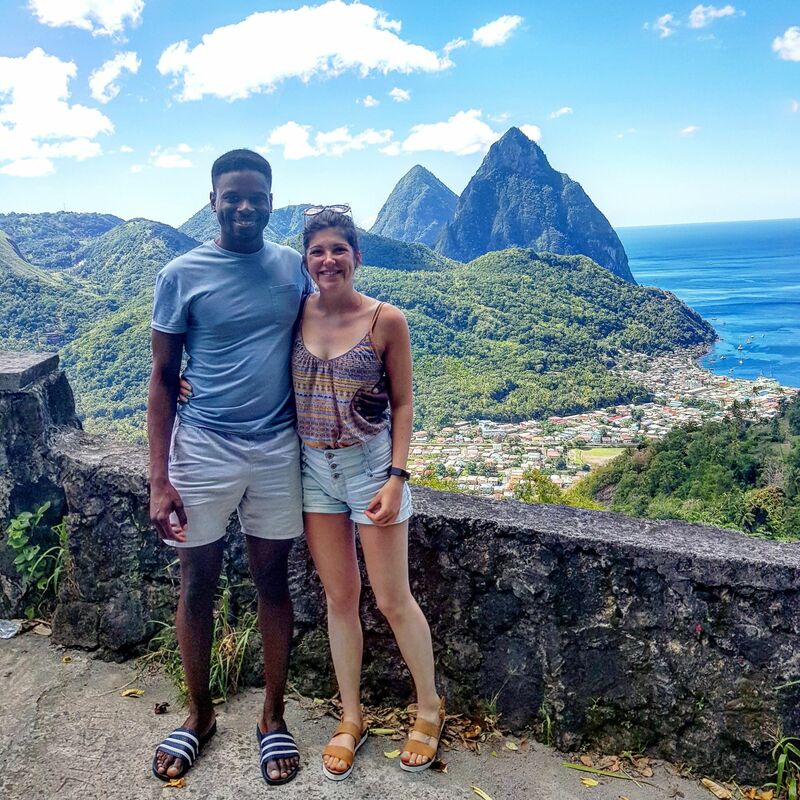 Our tour of St. Lucia, feat. 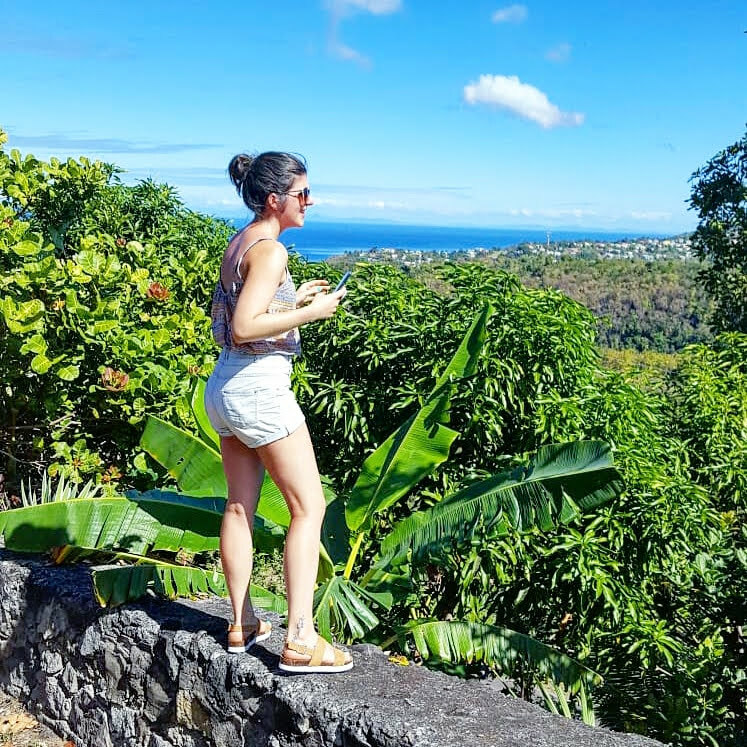 the “world’s only drive in volcano”, those sulphur springs and the mud baths, the waterfall which made us feel like we the the only ones there, and the views which were endless. 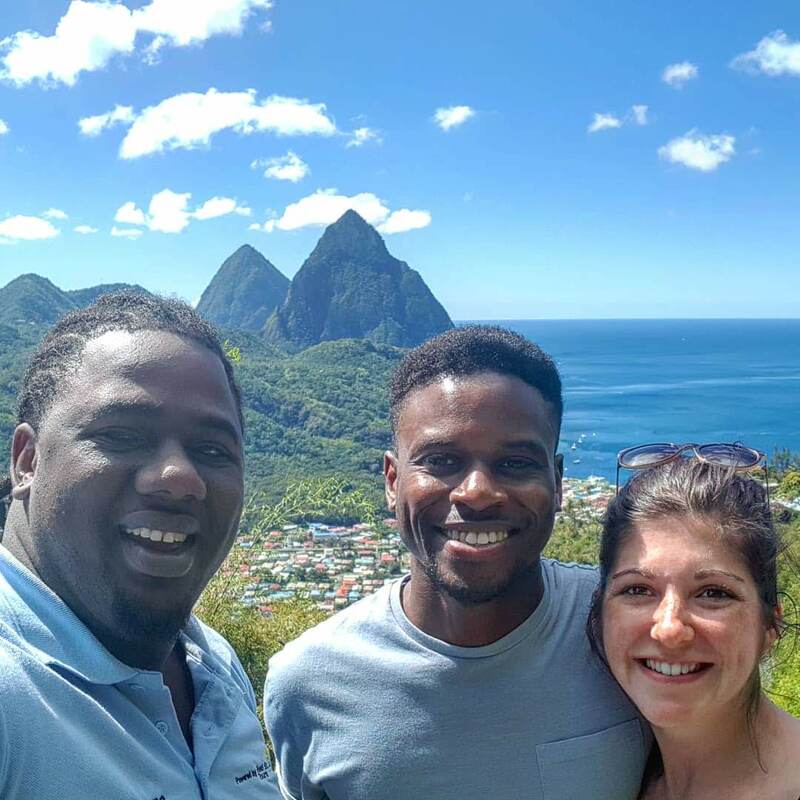 We booked our tour with Real St Lucia Tours after seeing it was endorsed by Condenast Traveller and Lonely Planet, and had been given the Tripadvisor Certificate of Excellence in 2018. When you’re in a country you don’t really know, I really rely on reviews and customer feedback. We soon found out these were well and truly deserved. 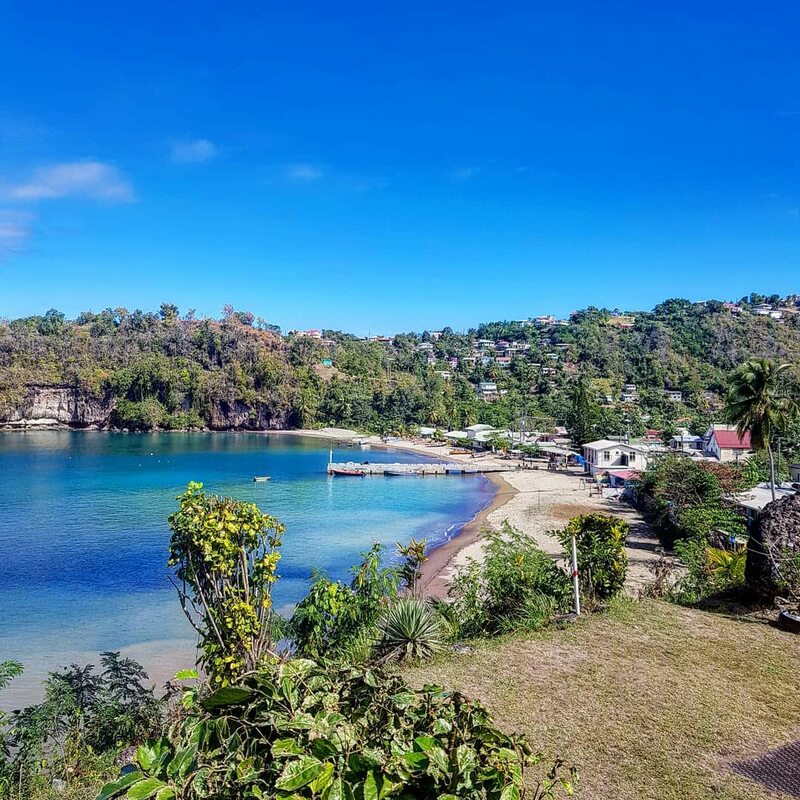 Real St Lucia Tours offer a variety of excursions. The one we were most interested in however was the island expo. We were keen to see as much as possible within the day’s outing. Even though Chris has a family home out there, he hadn’t ever done a tour of the island himself either! 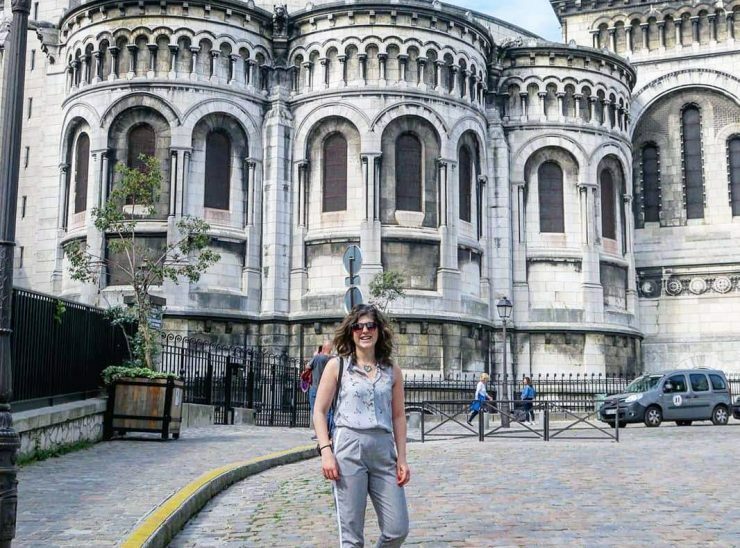 The private tours are completely flexible, which we took advantage of, and are led by locals who are all expert tour guides. Isaac, who was assigned our tour, was fab – super bubbly, enthusiastic, knowledgeable and we can’t thank him enough for the photos he took of us at some of the stop offs. The kind of thing you can’t get if you’re out just the two of you in a rental car. 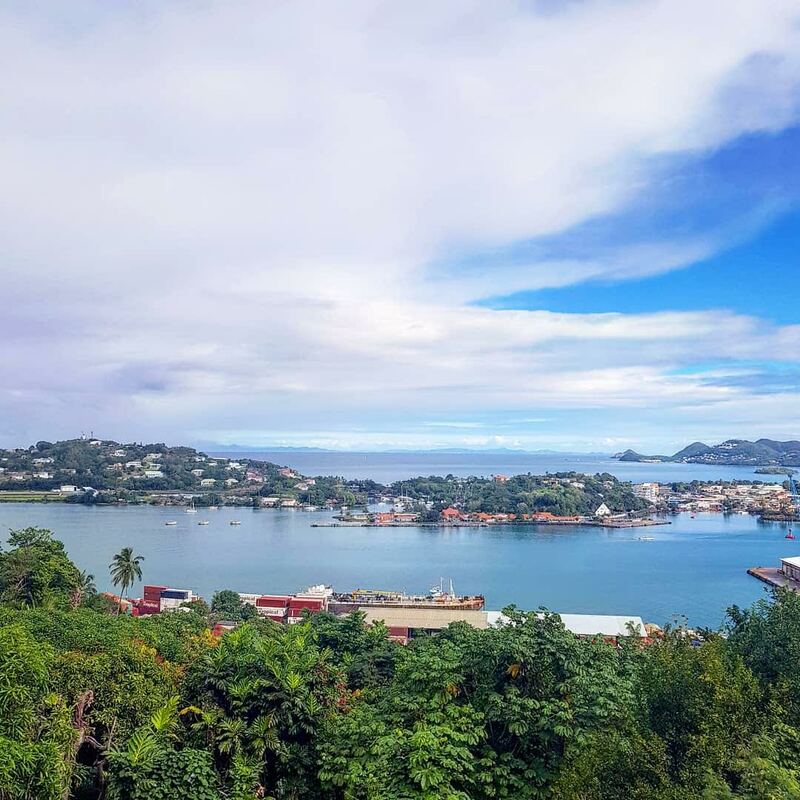 Tour highlights can include; Morne Fortune, Governor’s House, Marigot Bay, The Banana Plantation, Canaries, Anse La Ray and the Majestic Piton Mountains. 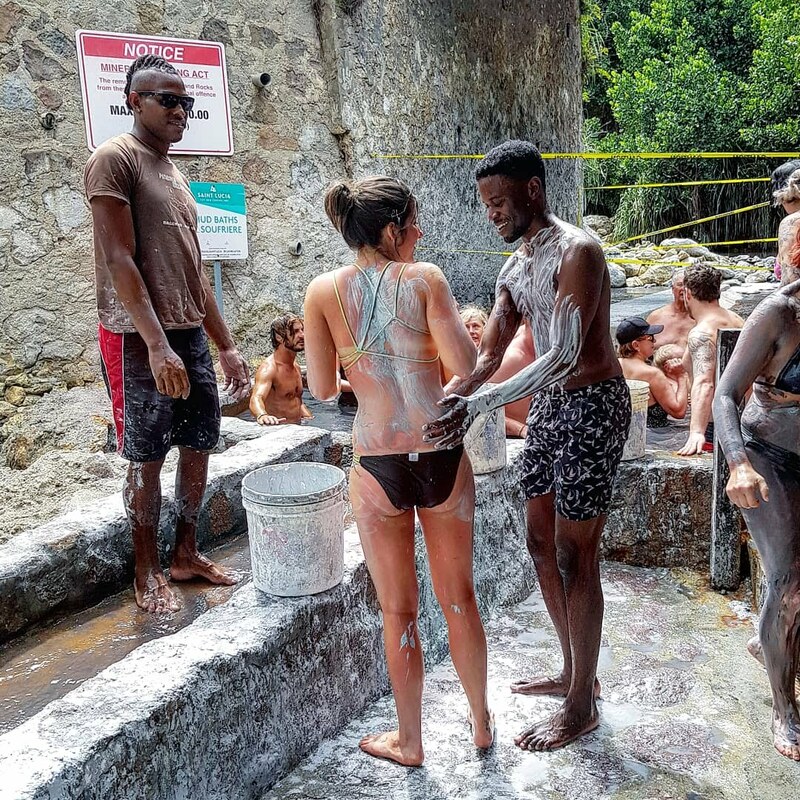 There’s also more hands-on or active stops like the Volcano and mud baths, Tet Paul Nature Trail, Snorkeling & Beach, Piton Falls, Diamond Waterfall and Botanical Gardens. 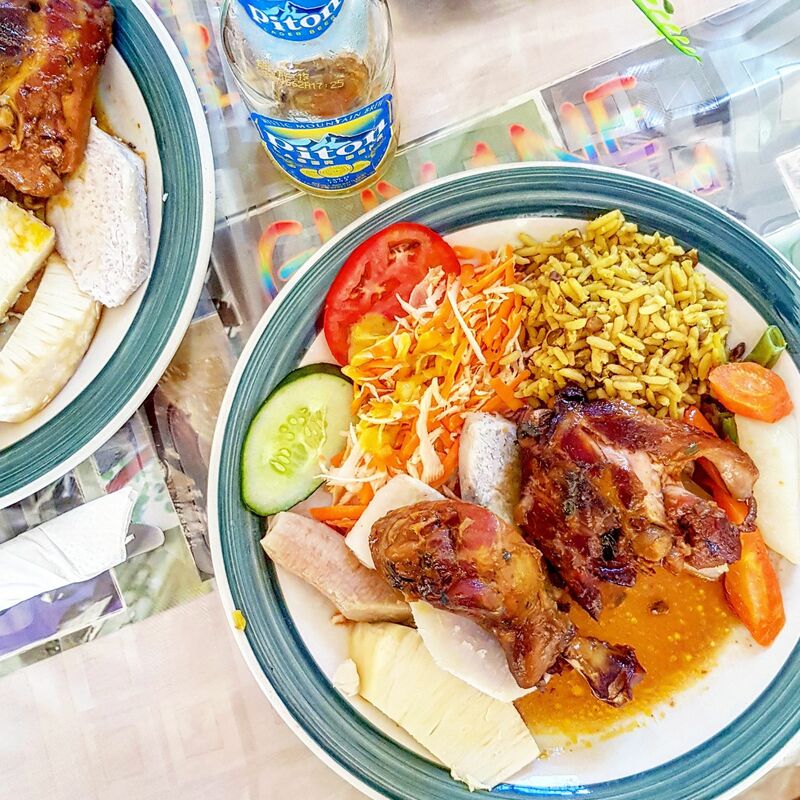 You get the opportunity to stop for lunch at one of Soufriere’s best local restaurants along the way too. With tours lasting about 5-6 hours you do get to cover the above highlights. 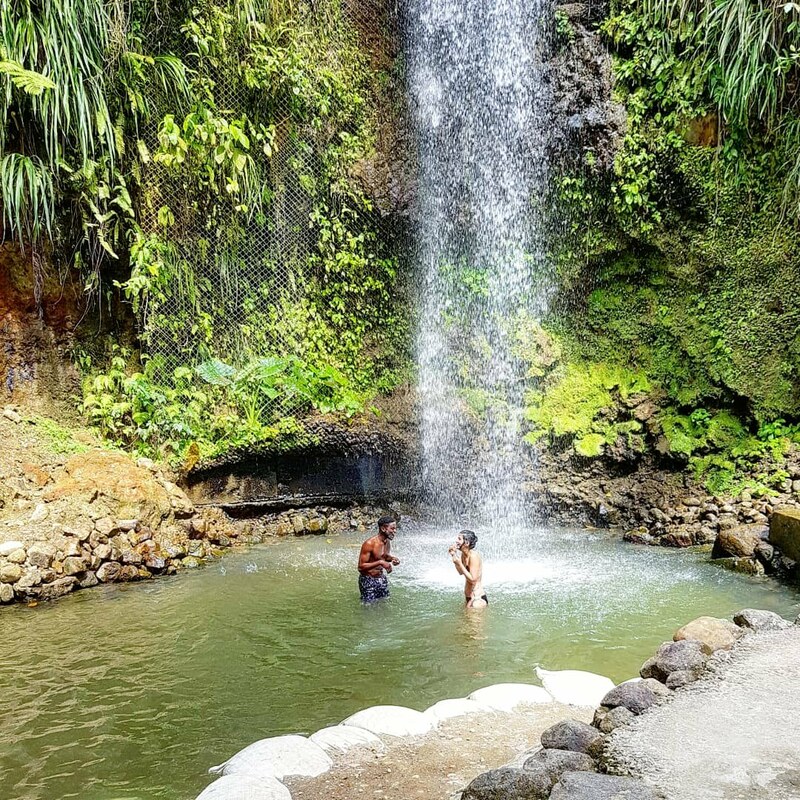 But it’s not really possible to fit in all of the more active stops, such as the mud baths, waterfall, nature trail, gardens or snorkeling. So you will get asked at the beginning of the day what you’re keen to do. It just means there’s more to do next time too! The views throughout the morning were truly breath-taking. The little fishing villages of Canaries and Anse La Ray were really cute. 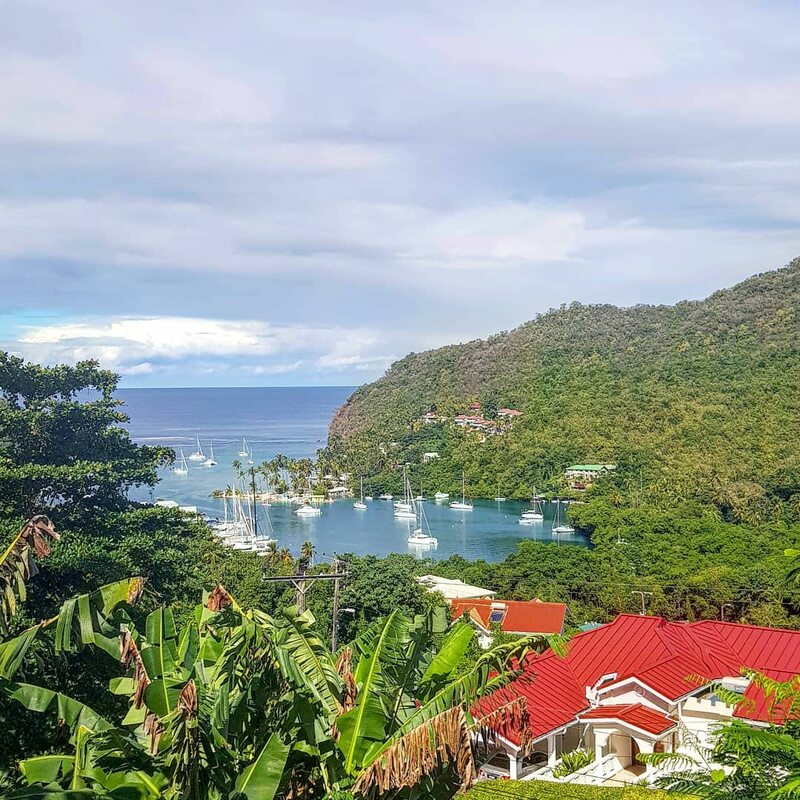 Marigot Bay is stunning. 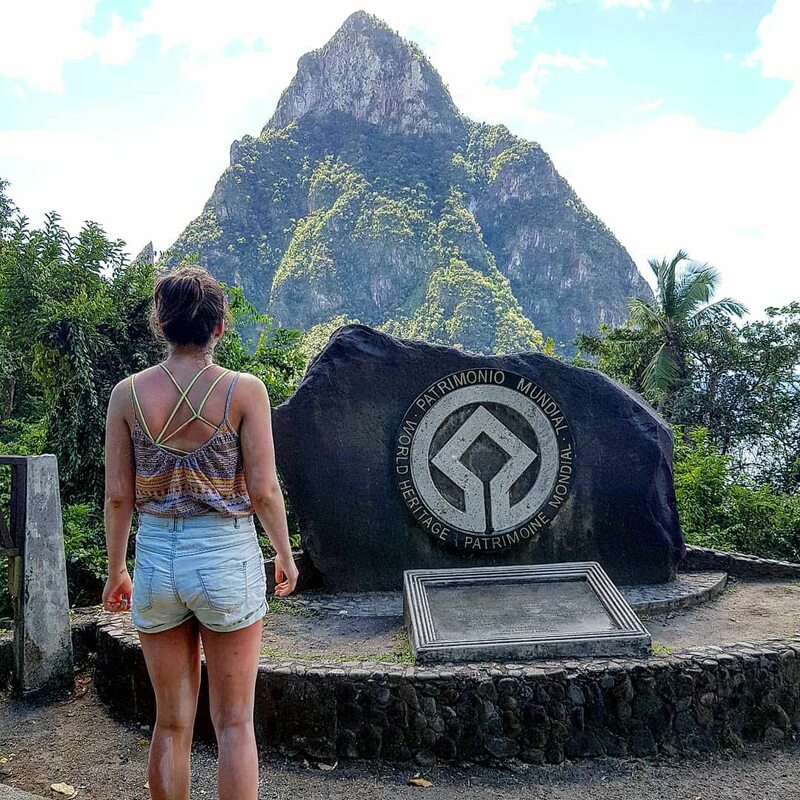 Those views of the Pitons are something else. With the island consisting of 50% rain-forest, it’s very luscious with green everywhere too, which I think adds to the pure beauty. Isaac made plenty of stops for photo opportunities and time to absorb the landscape. I was truly in awe. 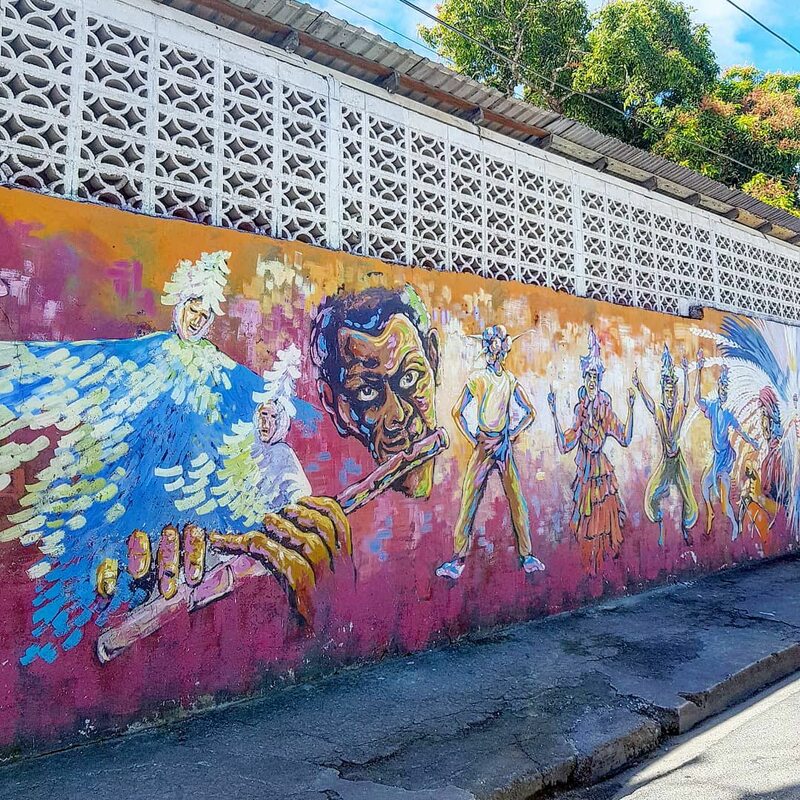 The fishing village of Anse La Raye (above) and the street art in Anse La Raye (below) The views of the pitons was INSANE! I think the below is my favourite photo! This was a location where they filmed part of Pirates of the Caribbean! So cool! We also learnt lots along the way too! 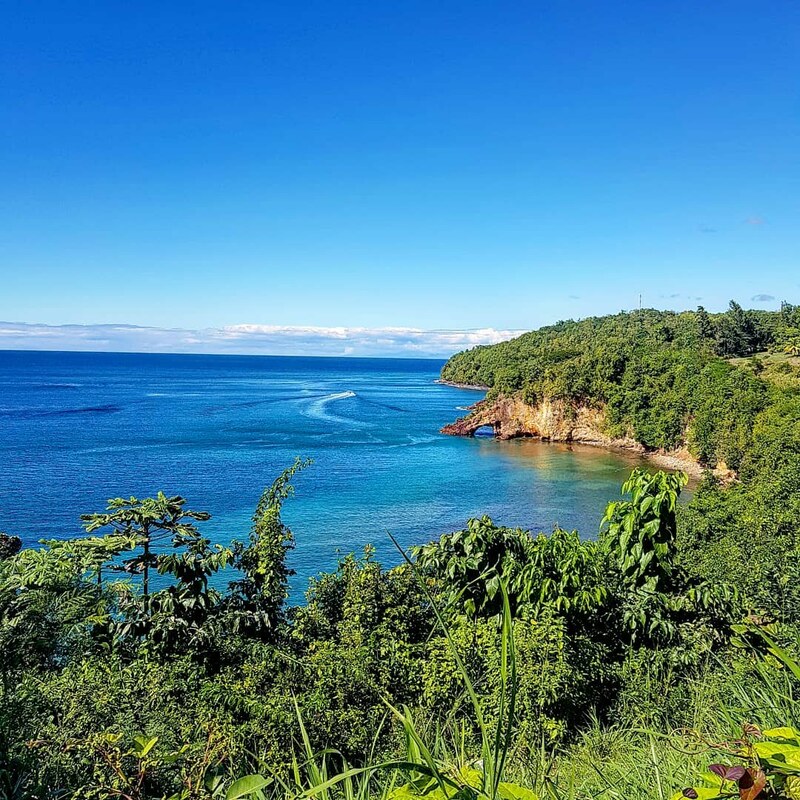 St. Lucia is home to two Nobel prize winners, of which they are very proud! We learnt about the war in the 1800’s and how it was won in Marigot Bay – they still have some of the canons on the island. 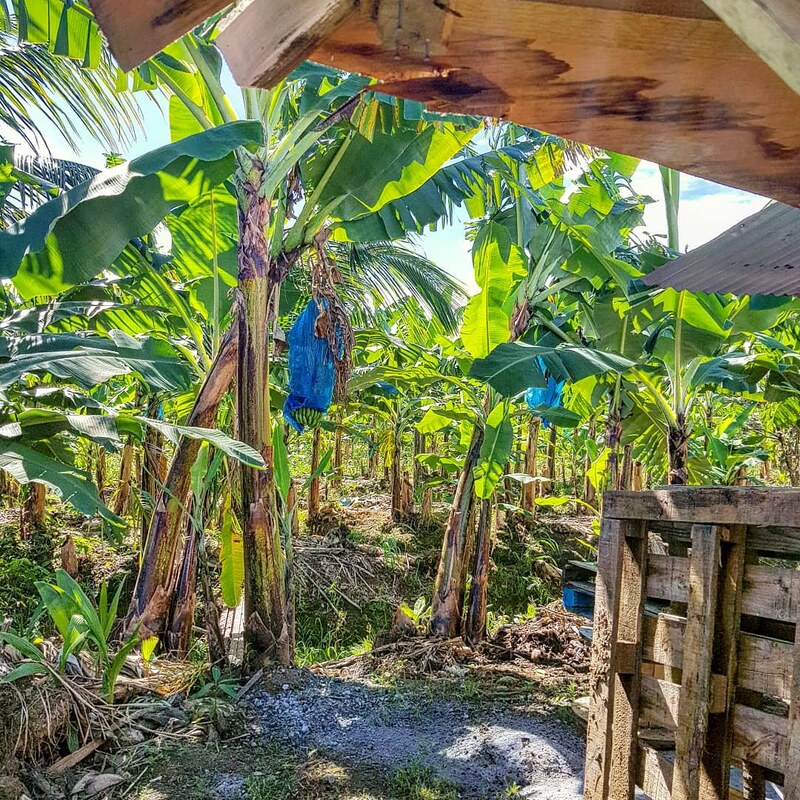 Although the main source of income for the island is now tourism, they’re also the biggest distributor f bananas in the Caribbean. And talking of bananas, did you know there are over 200 species? St. Lucia grows just 13 of these! THIRTEEN. 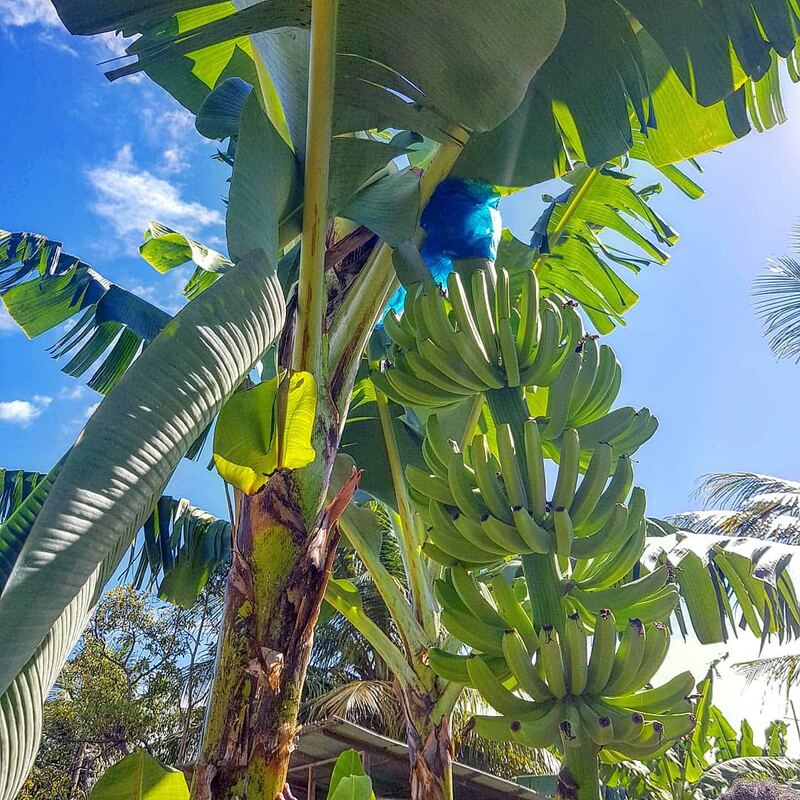 I also didn’t know that a banana tree can only bear fruit once before having to be cut down and replaced by another. We also learnt a little about the traditional language of patoi, which is a mix of french, Spanish and English influences. However, Isaac said the easiest way to learn the language is from your grandparents’ stories so I don’t think I have much chance with that one. The volcano is Sufriere is the only drive in volcano in the world, and it last erupted in 1766. 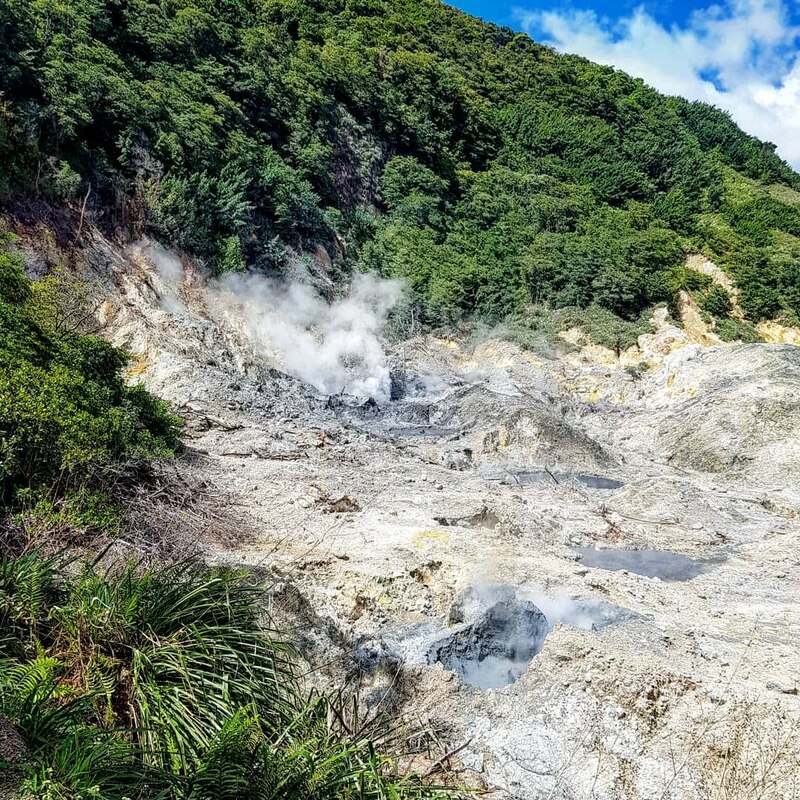 Little pools on the volcano started bubbling again 300 years ago. The volcano lets off a lot of sulphur, which is the reason for the name of the location (“sulphur in the air”), and the pretty bad smell, a lot like rotten eggs. It was so cool to be so up close to an actual volcano though and learn about what makes it bubble and steam. The mud baths are a must. The sulphur springs are so hot – especially in the middle of the day. But a dip in them is meant to be so good for you. 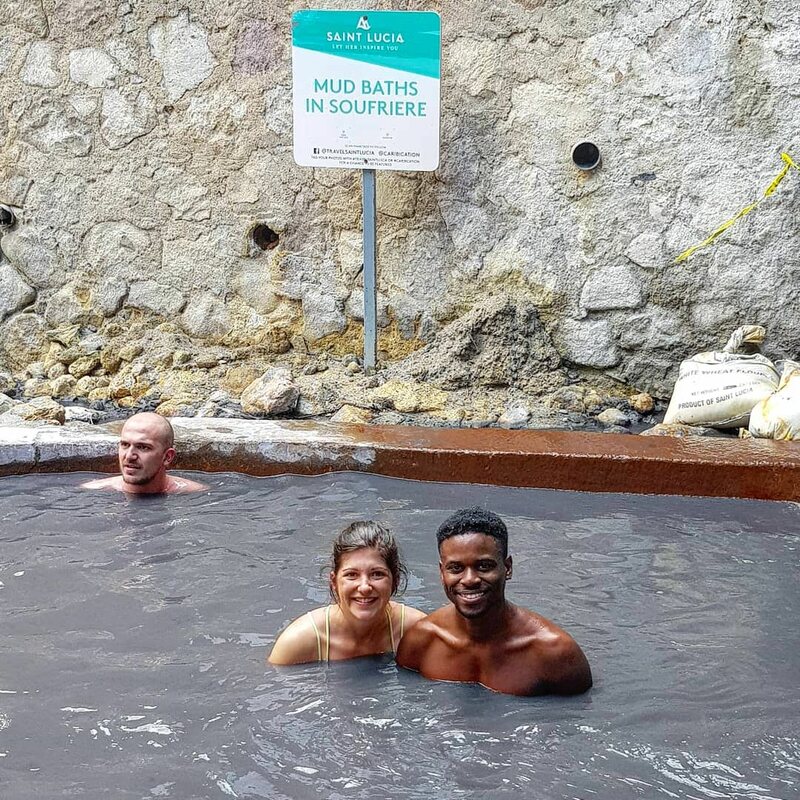 The way the sulphur springs works is you go for a dip in the hot pool, pop out, coat yourself in light mud, add a pattern with some dark mud, and head back in to wash off. We had a lot of fun getting each other muddy – the one time you can get super messy and that’s the point. Isaac added our patterns (apart from the hand prints near my bum of course) – we looked awesome. It’s not just a great photo opportunity though (this is why you need an awesome guide who will take the shots for you as you don’t want to drop your phone in those springs), it’s such an experience. Your skin feels amazing after! It’s roughly $32EC, or £9, each for both the tour and the baths and well it! We left our faces covered, and headed to the Toraille waterfall to finish cleaning up. This was THE experience I’ll never forget. There are no words to describe how beautiful this waterfall is. Add to this, our timing which allowed us to basically get the waterfall to ourselves and you have one INSANE experience. We felt like we were the only ones there..even with Isaac snapping shots. The water was super fresh and chilly, especially compared to the sulphur springs, and standing underneath the natural fall was incredible. I’ve never done anything like that before and I felt truly lucky I had the opportunity to do so! At about $8EC, or just over £2 each, it’s a bargain for the experience! The lunch stop was obviously another highlight of the tour for me. Isaac took us to a little spot he recommends to everyone he takes on the tour. It’s called Fedo’s, and it’s in Soufriere, so the perfect stop off after the volcano. It’s a proper little local hidden gem. The creole chicken with green banana, breadfruit, christophene, carrot, salad and rice was amazing. The chicken so tasty and tender! It’s the first time I tried a lot of the vegetables, all of which really made the meal. Portions were big and price was very low at $36EC for our two lunches – that’s just over £10!! Not only did we do all of this, but we toured more than comfortably in an air conditioned car. Although the windows were often rolled down for snaps of course. Real St. Lucia Tours also packs their cars with refreshments, so had water and beer en route too! Piton beer of course, which if you’ve been keeping up with my Instagram you’ll know quickly became a favourite! At about $406EC for a tour for two people it equates to approximately £115, without the costs above for the more active stops, which I think is super reasonable for the quality of service and experience. I truly had the BEST day! 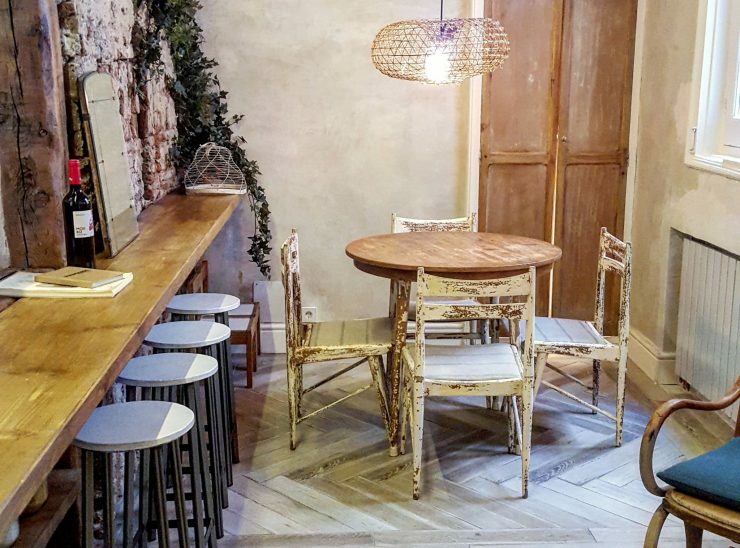 Price: approximately £115 for two people for a private tour, excluding additional entry costs. Totally worth it for the experience! 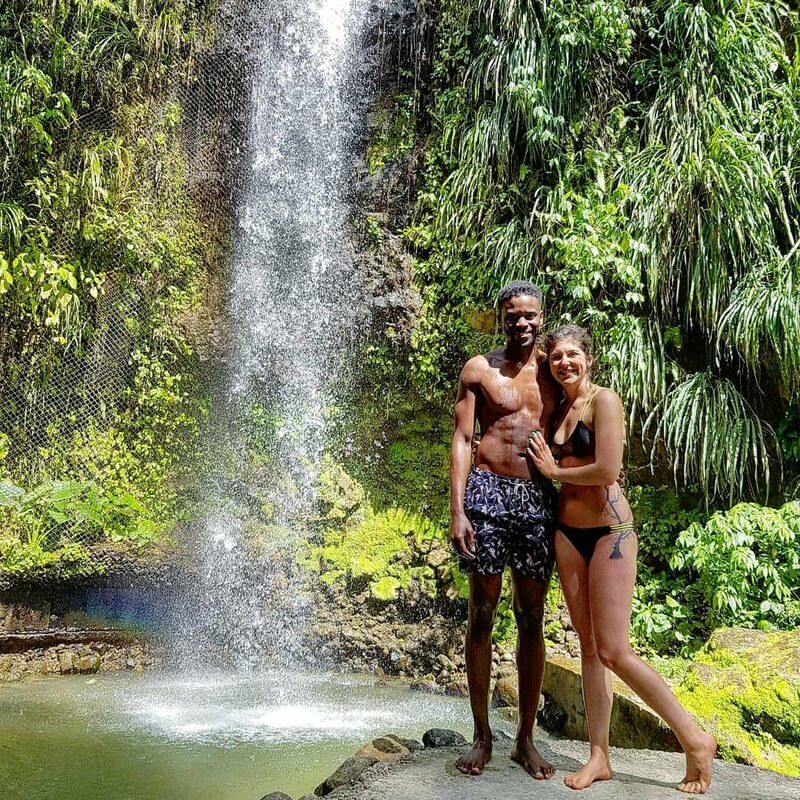 Quality/atmosphere: Real St. Lucia Tours were efficient in getting back to you via e-mail and getting you booked in. Our tour guide Isaac was super bubbly, friendly and knowledgeable which made him a fantastic tour guide. Service: Top level. Isaac added an extra level to the experiences. Through the facts and insights he added, to the constant photo taking so we could keep the memories, and recommendations. He was going above and beyond at all opportunities and we couldn’t thank him enough for it! Would we recommend? : 100% YES. If you only do one thing, this is it! The same company also operates St Lucia Airport Shuttle, with fantastic transfer service. The company also has villas, with one being built as you read this, with views of the Pitons. It’s set to be incredible so definitely look into this if you’re heading out! 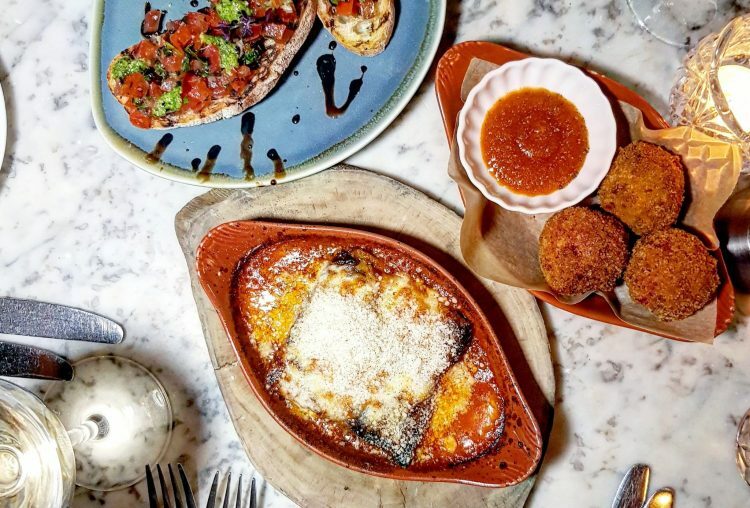 Keep your eyes peeled for my full round-up of things to do, and my post eats and drinks. Do you go away in January? What have you got planned for the year ahead? *We were given a discount on the tour in exchange for a review. All views my own.